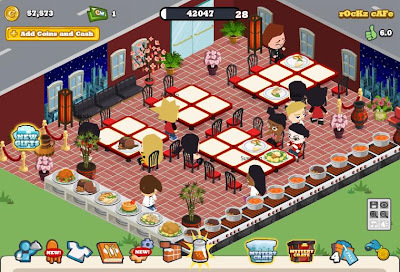 Home become a fan cafe photoblogsite Cafe World Chinese Restaurant Facebook Facebook Games fan page Logo new design Red Asian-Style Cafe Red Cafe Rockz Cafe Rockz Cafe logo Rockz Cafe Site The Red Asian-Style 'Rockz Cafe' Going Stronger! 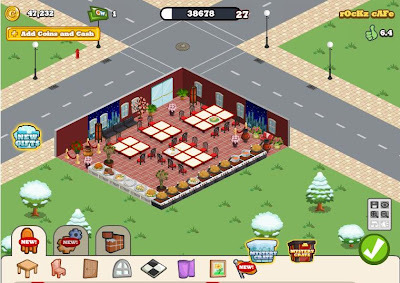 Yeah, I'm so glad with the current status of my Rockz Cafe in Facebook! You heard it right, it keeps on going stronger and successful! Right now, I am already on Level 30! And my area is about to expand! And if you want to see how my latest design looks like, here is the picture above! What can you say?! Still my motif is an Asian or Chinese inspired! I call my design as "The Red Asian-Style Cafe"! Like it? Visit the Official Website of the Rockz Cafe! Of course as I launched it earlier, you may now visit the official website or blogsite of this Rockz Cafe. All the latest designs, evolutions of its design, as well as the chef and some of the dishes it serve were all there! And there is also a special feature of the site. Yeah, I feature some of the designs of my neighbors cafe! So, you won't only view my own cafe but my neighbors' cafe as well! Excited?! Yeah, so visit the Rockz Cafe and have fun! As I told you, it becomes stronger and stronger! Not only the website, but even in Facebook, it now have an official Page! To know more about the Rockz Cafe, kindly search Rockz Cafe on Facebook and become a fan! !